'Outlander': Caitriona Balfe on the Unsavory Side of "Do No Harm"
STARZ series Outlander has returned for season 4, and with it comes an uncomfortable discussion about timely issues of the historical era- namely, slavery. 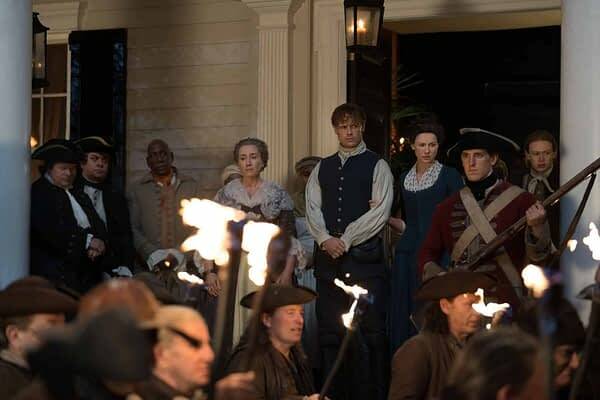 Episode 2 of season 4 “Do No Harm” has Claire Fraser (Caitriona Balfe) deal with slavery in the colonies head-on, while visiting Jamie Fraser’s (Sam Heughan) aunt Jocasta Cameron (Maria Doyle Kennedy) at her lavish plantation estate, River Run. Claire obviously comes from a different time; when civil rights are the name of the game, as well as her friendship with African American doctor Joe Abernathy and his family. “It is such a huge part of the book and we couldn’t have done this season without exploring this. And unfortunately, it still has a resonance in today’s current time, which is quite awful. It’s never easy to film these scenes, and it’s never easy to take on these issues in a show like ours. But it’s important that we look at what America was in that time and face some of the realities of that time. In this episode it’s the first time — or maybe not the first time but the first time in a long time — that you see Claire acting truly from a place of emotion. We’ve seen a much more mature and rational Claire over the last two seasons, and when she’s faced with this horrific firsthand view of slavery, it just unsettles her to her core. What happens with Rufus (Jerome Holder) is just so awful to her [Claire] that she doesn’t necessarily think of the consequences to her actions. She goes straight ahead and is trying to do the right thing, but in doing that has caused a greater disturbance and escalated the situation more than she intended to. Outlander season 4 airs on STARZ on Sundays. 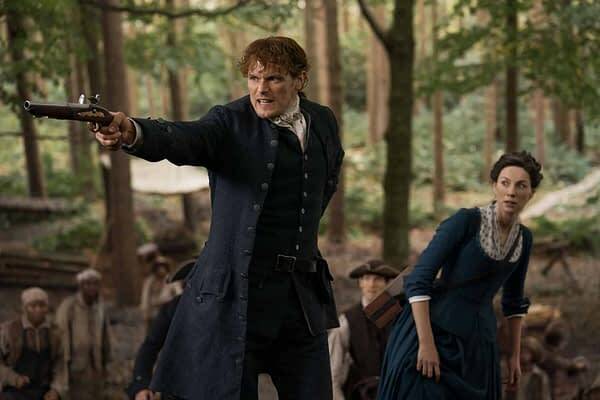 Whats Gonna Happen in 'Outlander' Season 4 Episode 7 "Down The Rabbit Hole"?! Let's Talk About 'Outlander' Season 4 Episode 6, "Blood of my Blood"
9 Photos From 'Outlander' Season 4 Episode 5, "Savages"
What Do You Mean River Run Wasn't Real on 'Outlander' Season 4? !